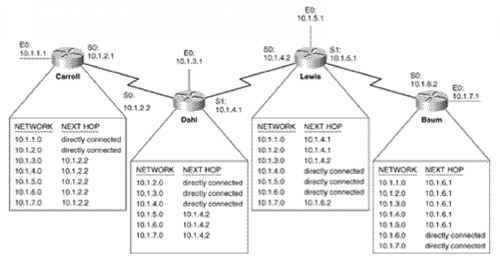 DSL provides OSI Layer 1 and Layer 2 services to the home. The goal of DSL is to deliver IP packets from the remote user to a router—a router owned by an ISP, or a router resident inside a corporate network. To do so, DSL provides a digital Layer 1 service—serial bit streams in each direction—between the remote site and the local CO. On top of that, DSL uses a combination of ATM, Ethernet, and PPP to help deliver IP packets between the home and a router at an ISP. DSL brings high-speed remote access capabilities to the home. Depending on the distance to the local CO and the DSL standard supported by the local telco, DSL can support over 1 Mbps. It supports concurrent voice and data, with the data service always being turned on— no dialing is required. And the service speed does not degrade when more users are added to the network. DSL has some obvious drawbacks. DSL simply will not be available to some people, particular those in rural areas, based on the distance from the home to the CO. The local telco must have DSL equipment in the CO before it, or any ISP, can offer DSL services. Also, even when the home is close enough to the CO, sites farther from the CO might run slower than sites closer to the CO.